We supply emergency glazing services to schools, offices, pubs, clubs, hotels, restaurants and public buildings in and around London. Britannia quickly secure your commercial property by making speedy repairs. If for some reason a repair cannot be made right there and then we can board up your windows and doors to protect your properties contents. All our work is guaranteed and our services are police approved. Our glaziers are highly trained and on top of that we do not charge for a call out to your property. 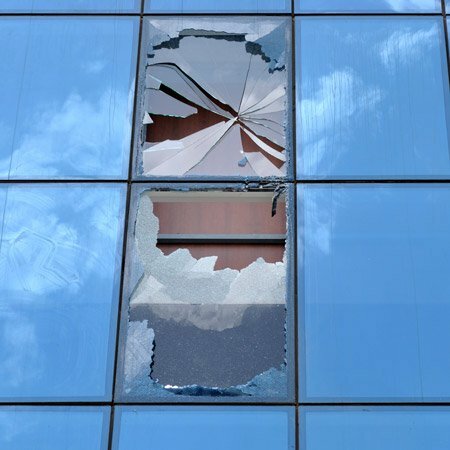 With over 20 years of glass replacement experience, we are experts at commercial emergency glass repairs and always strive to offer a prompt and professional service.